Tickets for Indies Invade Philly 2018 are on sale now! Holly and I would like to thank everyone that attended the 2017 Indies Invade Philly! Year after year we are overwhelmed by the gratitude from the readers, bloggers, authors and fans! Your excitement and appreciation is why we run this event every year! 2018 will be here before you know it! Make sure your calendars are marked for September 29th! You won't want to miss this amazing line up we are putting together for you! See you in 380 days!!!! And you might as well mark your calendar for Indies Invade Philly November 9th, 2019!!!! Yes we will for sure be back for 2019!!!!! 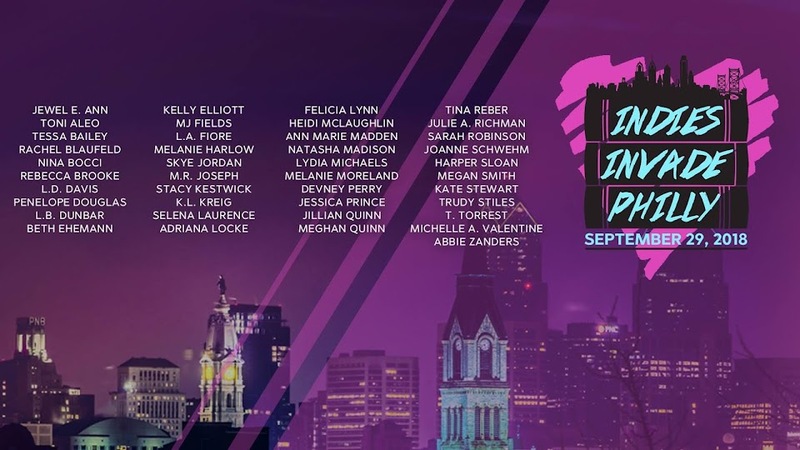 Save the date for the 5th Annual Indies Invade Philly event! More Details and Author List TBA!!!!! Who's Ready for Indies Invade Philly 2017!!!!! The planning is underway for Indies Invade Philly 2017! The date is September 9th, 2017 at the Pennsylvania Convention Center! 2016 was a HUGE success and we are looking forward to making 2017 even bigger and better! Check out the Authors Attending page for the most recent author list and watch this page for updates coming about the event. Tickets are set to go on sale April 1st, 2017!!!! Watch this page for more details to come! First a huge thank you to everyone that attended, volunteered, and to our amazing authors for making 2016 such a great success! We are overwhelmed by the outpouring of thanks and love from everyone involved in this years events! Now the good news! The planning has begun and 2017 is right around the corner! The signing is set for September 9th, 2017!!!! Stay Tuned for author list and ticket on sale dates coming soon! We hope to see you all back in Philly!!!! !